We are all familiar with dog grooming, but have you ever heard of cat grooming? Cats benefit from regular grooming just as much as dogs. Not only our shorthaired breeds, but in particular our longhaired breeds can all benefit from regular grooming sessions. My journey into cat grooming began due to experiencing my father’s longhaired cat Olly becoming badly matted under his armpits and belly. Olly was very timid and I didn’t know how he would react to being groomed. I did not like the thought of him being sedated at the vets in order to have his tangled coat dealt with. So, I began searching for a fully trained mobile cat groomer. Guess what? Surprise, surprise, I couldn’t locate anybody. This prompted me to take action. I headed to London so as to fulfil my dream of becoming a professional cat groomer. I trained in what is regarded the number one cat grooming school in London where I qualified as a Master Cat Groomer. During this intense experience I groomed many cats from the young to the old, those with health problems and those with badly matted and even pelted coats. After talking with the owners they were so grateful for the gentle, caring service provided and of course the end results. 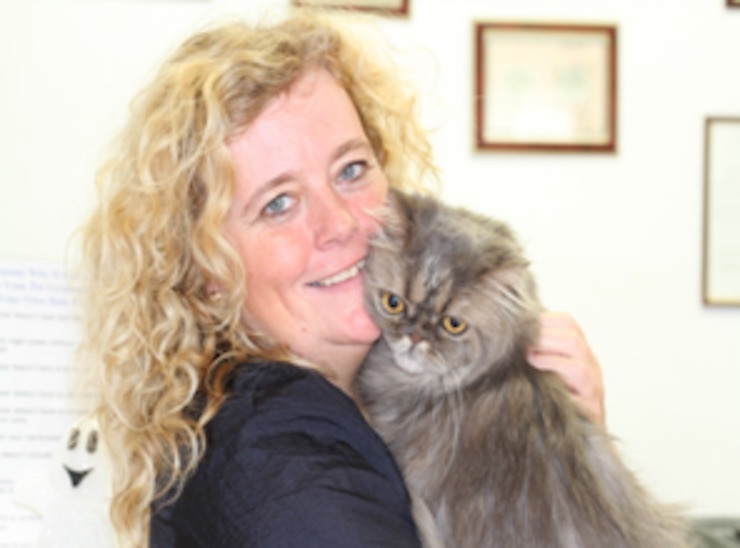 Their cats’ coats were beautiful – no tangles or mats, claws all trimmed, ears and noses cleaned and coats smelling lovely. On returning home to Meols, I opened my new business venture Love Cats Mobile Grooming. As you can ascertain from the title, I will be mobile. This alleviates any stress from your cat as they are handled in their own familiar environment. I am willing to travel up to 30 miles radius from Meols for now.